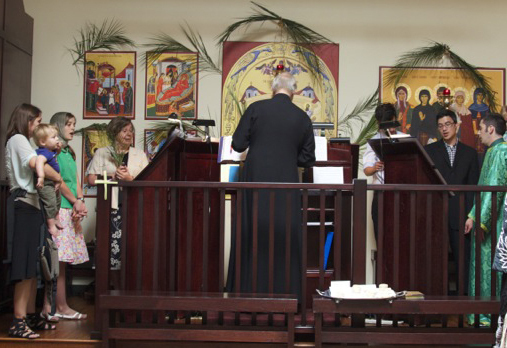 Worship at St. Katherine is adorned by liturgical singing from multiple Orthodox chant traditions—Slavic and Byzantine—as well as by music by American and Russian composers and arrangers. 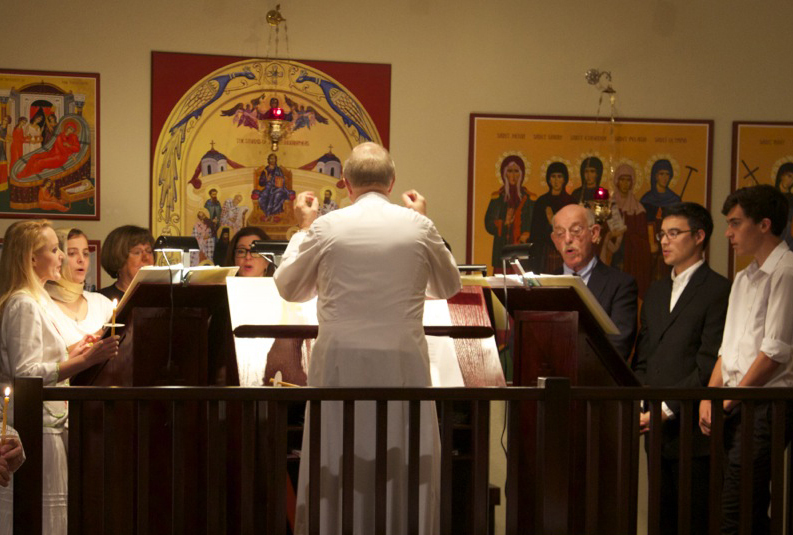 Our church choir consists of musically talented and dedicated volunteers who rehearse for half an hour before each service and twice per month on the first and third Sundays after the agape meal, which follows the Divine Liturgy. 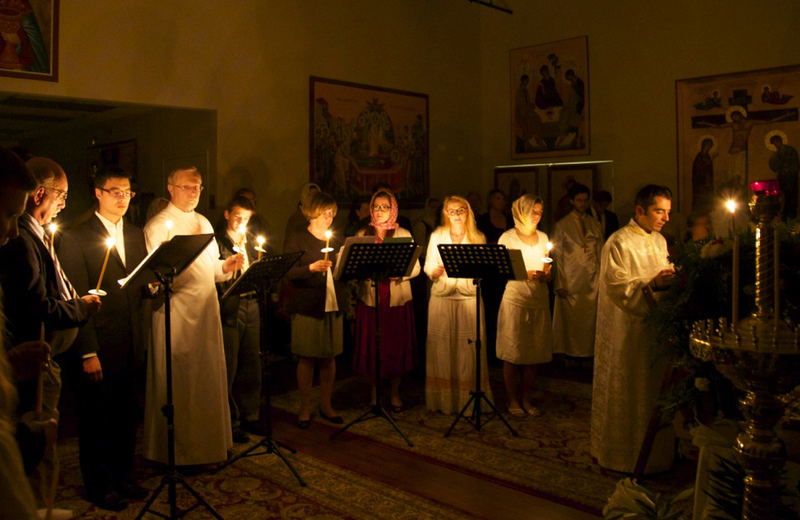 Reader Dr. Vladimir Morosan directs the liturgical singing at St. Katherine’s. He has worked in the field of Orthodox music for over 40 years. He is the founder of Archangel Voices, a professional-level choral ensemble which has recorded six CDs of Orthodox liturgical music in English. He has taught and lectured widely at church music workshops and conferences, and has conducted choirs in various jurisdictions of Orthodox churches in the United States. He is also Founder and President of Musica Russica, a publishing house specializing in Orthodox and Russian choral music. Dr. Morosan is the author of the Ancient Faith Radio podcast entitled “Sing to the Lord,” devoted to exploring the various aspects of Orthodox liturgical singing and all manner of related topics. The podcast can be accessed here. Anyone interested in joining the choir should speak to Reader Vladimir and obtain a blessing from Fr. Andrew.